Ed. Note: Wish’s “Heard Around the Lake” will return in August as he takes a very deserved break during a trip to the northwest. Read this one slowly because it will have to last you through the next three Thursdays! On Sunday, Jeff Galloway—the Johnny Appleseed of marathoning—will celebrate his 70th birthday by running the Missoula Marathon. This will mark Jeff’s 200th marathon, which is certainly remarkable in itself, but what’s truly noteworthy about him is how he’s planted the seeds for many thousands of runners all over the world who have gone on to finish marathon. Galloway has had a tremendous influence on running as a world-class competitor (a ’72 Olympian), a retail pioneer with his Phidippides store in Atlanta, a columnist for Runner’s World, author of countless how-to books and scion of Galloway Training (including a chapter in Austin), but his greatest impact is how he has popularized marathoning. When Jeff started doing clinics and traveling around the world to promote running in the mid-80s, marathoning wasn’t exactly in its infancy but major marathons, such as Chicago and Houston, were lucky to have fields numbering 5-7000. Today, Chicago and Houston are both instant sell outs at 40,000 and 27,000 (half and full). What Jeff, a 2:16 marathoner, did was “sell” the possibility of running a marathon to the average guy/gal by introducing his walk/run plan. That is, by taking planned walk breaks all along the marathon route, it opened up the race to folks who never even considered the possibility of going 26.2 miles. Jeff was also an early advocate of the benefits of slow running, especially on long runs, which he preached should be done at a painless 3-4 minutes slower than goal pace. All of that was good news for folks who liked the idea of finishing a marathon, but didn’t want to kill themselves in training—or the race. Take your time, suggested Galloway, and enjoy the experience. And hundreds of thousands have. Jeff claims a finish rate of 98 percent of the people who follow his training programs and race day strategy. I worked with Jeff for years at Runner’s World and later at Mizuno and although I love the guy, always bristled at his slow running and walk/run concepts. I certainly recognized the viability of slower running as a way to induce more people into marathons, but—being an old school kind of guy—I just never personally liked it. A couple of incidents stand out. One year the day before the Boston Marathon, I was running along the Charles when I caught up with Jeff meandering along at a decidedly leisurely pace. Figuring I’d show him how “real” runners trained, I gradually upped the pace, hoping to break him out of his slow running mentality. After a mile or two, we were flying down the bike path and Jeff had this wide grin on his face. I wasn’t the first to try this tactic with Mr. Slow Running and, when he wanted to, could still maintain any pace I could throw at him. Then, a year or so later, Jeff spoke at the Austin Marathon—this was back around 2001 or ’02—where he announced his plan to walk/run the marathon the next day and invited anyone to join him. Sounded good to me. Here was my chance to run with the great Galloway and rather than take walk breaks with him, I would simply just pull away and prove once and for all, how walk breaks were fine for the first-timers but not for guys like me. We started together up at the Arboretum, but as soon as we hit the first mile marker, Jeff took a short walk break. I didn’t need no stinking walk break and had no intention of walking until after I crossed the finish which—I think at the time—was on Barton Springs, just outside Zilker Park. Meanwhile, Jeff was taking a short walk break every mile or so and we lost contact. Which is exactly what I did. Galloway was as fresh as someone running a 5-K, while I was struggling. Still, I was able to keep up with him, but as soon as we hit the little bump over I-35, he stopped running to take his final walk break. Not me. I forged ahead to the finish and in the final mile, Galloway caught me again—no walk breaks left—and dragged me with him to the finish. I had run well, but the last few miles were agony, while he had just coasted the entire 26 miles. Even though I have never started any race planning to take walk breaks, I’ve certainly taken my fair share of unplanned breaks. Nevertheless, the Galloway philosophy of pain-free marathoning has helped to make the marathon and half marathon palatable for so many. 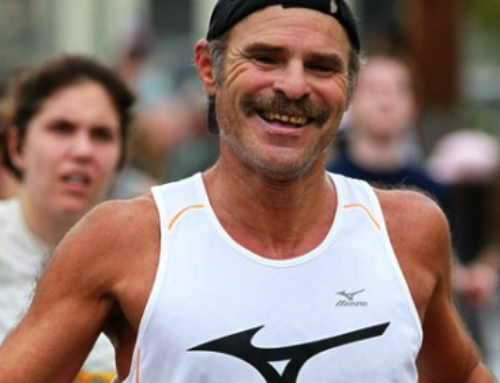 Modest to a fault, Jeff says his long-term goal nows that he’s reached 70 years old is to keep running marathons until he turns 100. Then, Jeff says, he’ll re-evaluate his goals. O Several Rogue women are in Europe to dip their toes into the cut throat action of European track. Their first meet was Tuesday night in Cork, Ireland where Mary Goldkamp and Sarah Pease ran an open 3000 to tune up their speed for steeplechases still to come. Goldkamp finished 13th in a six-second PR of 9:23 with Pease just a second back in a seven-second PR. Kristen Findley was 16th in 9:26. Next up for Pease and Goldkamp is a steeple tomorrow night in Letterkenny, Ireland. O In the mile in Cork, former UT grad student Kyle Merber placed third in 4:01 and Duncan Phillips was fifth in 4:02. O Former Rice star Lennie Waite (another Rogue runner, coached by Steve Sisson) was born in Scotland to British parents and even though she’s lived in Austin since she was seven, competes for Scotland. At the British Championships in Birmingham over the weekend, Lennie won the national title in the steeple in a very slow 10:15 which wasn’t close to the World Champs qualifier of 9:44. Maybe she was tired. It was Waite’s third track race of the week. Still, Waite is hoping to get the qualifier tomorrow night in Kilkenny where Goldkamp and Pease will also run the steeple. O At the National Senior Games in Minnesota, our Joe (The Ageless One) Barger won the 5-K in 39:03 and Bill Schroeder of Georgetown was sixth in 18:57. Joe also was second in the 10-K road race in his (90-94) age group in a time of 1:22, while Schroeder was fifth (50-54) in 39:57. O The Hardrock 100 is this weekend up in Colorado and folks who do these sort of things, rate this as one of the toughest of classic 100-milers (as if there’s an easy one). Nobody from Austin is running, but Brian Rickets and Tyler Curiel of San Antonio are entered. O Paul Terranova is not running Hardrock after finishing 10th at Western States. Instead, he’s taking a little break before his next endeavor: The Speedgoat Triple in two weeks at the Snowbird Ski Resort in Utah. The Triple, which Terranova is doing “just for fun”, consists of the Vertical Mile (on Friday), a 50-K (on Saturday), capped off with the Quadbanger on Sunday which consists of 11,000 feet of vertical descent. O The way Under Armour is gobbling up Austin-based companies UA should just move here. Oh right, they already have. UA has a huge, beautiful office in Seaholm, right off Cesar Chavez which houses its digital HQ. Anyway, UA just a snatched up another Austin-based fitness company, acquiring Gritness earlier this week. Gritness – a three-year-old company started by Jason Whitson and Tommy Fad – is a fitness app (and website) which is a search engine to help people find and join workouts. Fad is now the director of architecture and consumer engagement for UA, while Whitson is the director of engineering and consumer engagement. In 2013, UA acquired MapMyFitness and earlier this year announced they were bringing MyFitnessPal and Endomondo under their umbrella. O The Austin Runners Club will introduce a unique twist to the Decker Challenge Half Marathon on December 6th. Whoever can predict his/her finish time to the closest will win a pair of shoes. The “Call Your Shot” comp will have a guy and gal winner and in case of a tie, whoever runs the most even pace wins. O Congrats to former Austinite Chass Armstrong who got engaged last weekend to Britta Byrne. Chass now lives in Asheville, North Carolina and most recently finished third in the Kentucky Derby Festival Marathon in 2:33. Have any news for me? Send it along to wish@texasrunningpost.com. The weekly “Heard Around the Lake” is brought to you by Albert Saenz and The Cadenza Group – an Austin-based real estate company involved in the running community, serving your home buying, selling and leasing needs! Want to receive each article via email? 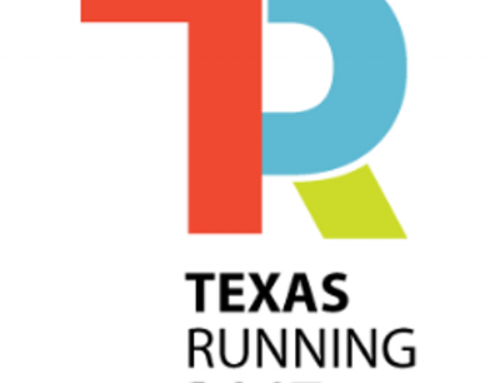 Subscribe at http://texasrunningpost.com/subscribe-posts/.